St-Paul Home Oil Plus. It is a 100% VOC free and water based oil, environmentally friendly. 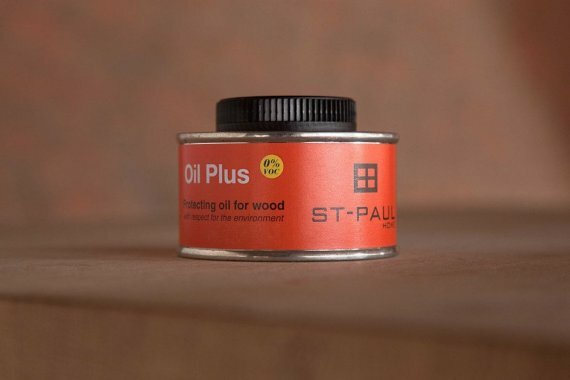 It is available in 100ml cans, enough for 1 treatment of a 3m St-Paul Home table. Click here for St-Paul Home maintenance instructions!